The COCA Training and Conferences webpage has been updated to include conferences from October 2017–April 2018. Visit the webpage to learn about conferences sponsored by CDC, other federal agencies, and COCA partners. COCA’s Emergency Preparedness and Response webpage contains information on scheduled and on-demand emergency preparedness and response training resources offered by CDC, other federal agencies, and COCA partners. Archived COCA Calls are also available. Free continuing education (CME, CNE, ACPE, CEU, CECH, and AAVSB/RACE) is available for most calls. For more information, please contact: pharmacistswg@cdc.gov. CDC’s National Center for Injury Prevention and Control launched the second in a series of interactive, online trainings for healthcare providers. These trainings feature the recommendations in the CDC Guideline for Prescribing Opioids for Chronic Pain, providing sample scenarios, feedback, and resources. Describe risks and benefits of first-line treatments to chronic pain. Identify preferred nonopioid medications and nonpharmacologic treatments for treating different types of chronic pain. Describe communication techniques that facilitate a patient-centered approach to manage chronic pain. This training, and all future trainings offering free continuing education, can be found here. CDC’s MMWR in partnership with Medscape is proud to introduce a new FREE continuing education (CE) activity on U.S. pregnant women and infants with recent Zika virus exposure: Vital Signs: Update on Zika Virus–Associated Birth Defects and Evaluation of All U.S. Infants with Congenital Zika Virus Exposure — U.S. Zika Pregnancy Registry, 2016. Continuing Medical Education (CME), American Board of Internal Medicine Maintenance of Certification (ABIM MOC), and Continuing Education (CE) credits are all available for this activity. This activity is intended for infectious disease clinicians, obstetricians/gynecologists, family medicine practitioners, internists, nurses, public health officials, pediatricians, and other clinicians who treat and manage women of reproductive age who may be exposed to Zika virus and risk for birth defects in their infant. Assess reported cases of Zika virus exposure during pregnancy, as well as associated interventions, based on U.S. Zika Pregnancy Registry data in 2016. Compare birth defects among offspring of mothers with Zika virus exposure during pregnancy, based on US Zika Pregnancy Registry data in 2016. Determine clinical implications of the findings from analysis of US Zika Pregnancy Registry data in 2016. This Medscape CE activity is now available online. CDC TRAIN provides access to more than 1,000 courses developed by the CDC programs, grantees, and other funded partners. Courses offered by CDC course providers have been approved and verified by CDC. Public Health Grand Rounds is a monthly webcast created to foster discussion on major public health issues. Each session focuses on key challenges related to a specific health topic and explores cutting-edge scientific evidence and potential impact of different interventions. The Grand Rounds sessions also highlight how CDC and its partners are already addressing these challenges and discuss recommendations for future research and practice. Registration is not required. Watch live and archived broadcasts. CDC Learning Connection: Connect. Learn. Improve Health. This October, the CDC Learning Connection features four timely learning opportunities that all offer free CE. In honor of Health Literacy Month, sharpen your communication skills by completing “Health Literacy for Health Professionals,” a six-course series on providing clear, relevant, and culturally sensitive health information. We also present “Treating Chronic Pain without Opioids,” the second module from the CDC Guideline for Prescribing Opioids for Chronic Pain online training series. Learn about nonopioid medications and nonpharmacologic treatments through interactive patient scenarios. In observance of International Infection Prevention Week (October 15-21), complete “Infection Prevention and Control for U.S. Healthcare Workers” to learn practices for preventing healthcare-associated infections. Hear from experts as they discuss risks of infection, components of successful infection prevention programs, and more. Finally, the Hot Training Topic features “Providers’ Clinical Support System for Opioid Therapies (PCSS-O) Core Curriculum,” a 14-module course for primary care providers on best practices for opioid prescribing. Sign up for our free monthly e-newsletter to stay up-to-date on similar public health learning opportunities from CDC, funded partners, and other federal agencies. COCA is pleased to feature the American Health Care Association/National Center for Assisted Living (AHCA/NCAL) in our October “COCA Partner Spotlight.” AHCA is the nation’s largest association of long- term and post-acute care providers. AHCA advocates for quality care and services for frail, elderly, and disabled Americans. The NCAL is the assisted living voice of AHCA. NCAL is dedicated to serving the needs of the assisted living community through national advocacy, education, networking, professional development, and quality initiatives. Partnerships with professional organizations are vital to CDC’s ability to share information about public health emergencies, CDC guidance, health alert messages, and training opportunities. COCA values our longstanding relationship with AHCA/NCAL, and we look forward to strengthening our partnership as we continue to work towards improving our nation’s health. Welcome to the Clinician’s Corner! Each month we will feature a CDC clinician or a clinician who has collaborated with COCA or presented on a COCA call. This month, we are featuring William Schaffner, MD, medical director of the National Foundation for Infectious Diseases (NFID) and professor of preventive medicine and infectious diseases at Vanderbilt University School of Medicine in Nashville, TN. Dr. Schaffner also serves as a hospital epidemiologist at Vanderbilt University Hospital. He is a past-president of NFID and a member of numerous other professional societies, including the Infectious Diseases Society of America, American College of Physicians, Society of Healthcare Epidemiology of America, and American Public Health Association. He currently serves as NFID liaison to the Advisory Committee on Immunization Practices (ACIP). Dr. Schaffner is active in the field of infectious disease research and has authored or co-authored more than 400 published studies, reviews, and book chapters on infectious diseases. He currently serves on the editorial board of a number of scientific journals, including the Journal of Infectious Diseases, Vaccine, and the CDC Morbidity and Mortality Weekly Report (MMWR). He is a featured blog author for The Huffington Post and Infectious Disease News. His work has focused on all aspects of infectious diseases including epidemiology, infection control, and immunization. He was the recipient of the inaugural 2017 National Vaccine Program Office (NVPO) UpShot Award winner for excellence in vaccine communication. In 2013, he received the John P. Utz Leadership Award from NFID for his longstanding service to NFID and the field of infectious diseases. 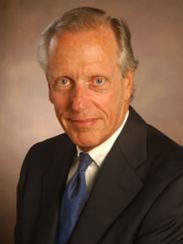 In 2009, he received the James D. Bruce Award from the American College of Physicians for “distinguished contributions to preventive medicine.” Dr. Schaffner has worked extensively on the effective use of vaccines in both pediatric and adult populations. He is a strong proponent of collaboration between academic medical centers and public health institutions.